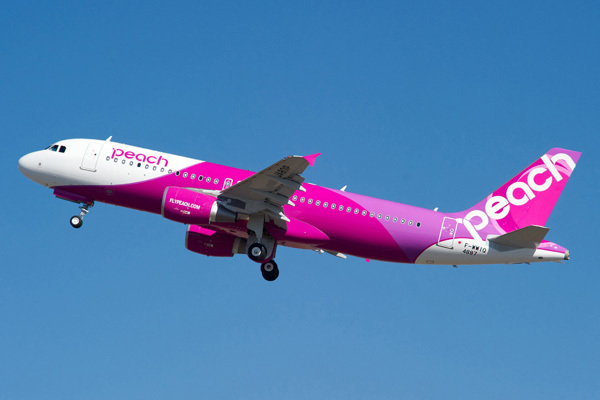 Peach Aviation is set to become the first Asian operator of the Airbus A321LR aircraft, following the conversion of an existing order for two A320neo aircraft. This entry was posted in Peach Aviation (Japan) and tagged Peach Aviation (Japan) on July 17, 2018 by Bruce Drum. 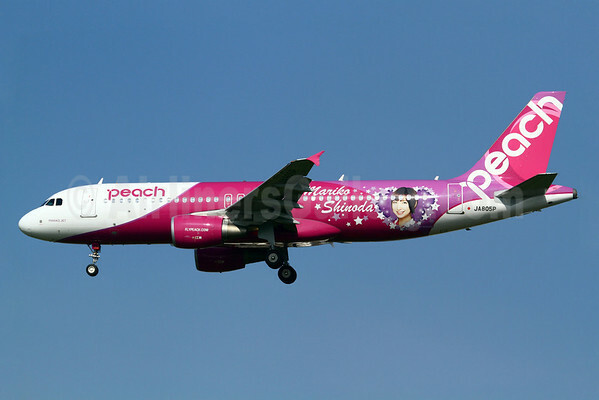 Peach Aviation (Osaka-Kansai) has announced it will launch a new route connecting Tokyo (Haneda) and Taipei (Taoyuan) starting on August 8. Copyright Photo: Michael B. Ing/AirlinersGallery.com. Airbus A320-214 JA807P (msn 5440) arrives in Tokyo at Narita International Airport (NRT). 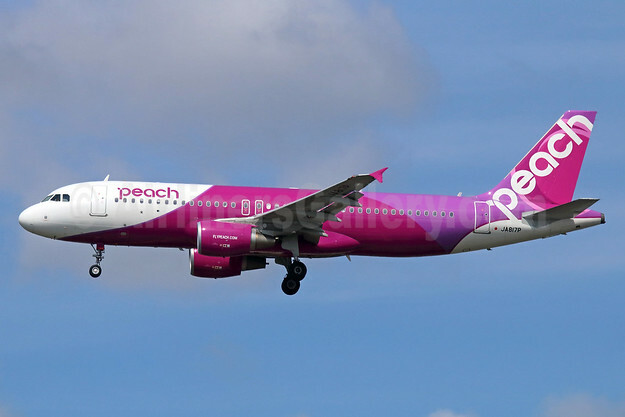 This entry was posted in Peach Aviation (Japan) and tagged 5440, A320, A320-200, A320-214, Airbus, Airbus A320, Airbus A320-200, Haneda, JA807P, Narita, NRT, Peach, Peach Aviation, Taipei, Taoyuan, Tokyo on June 25, 2015 by Bruce Drum. Peach Aviation (Osaka-Kansai), Japan’s Low Cost Carrier (LCC), has signed a firm contract with Airbus for the purchase of three A320s. A signing ceremony was held today at the Paris Air Show, with presence of Peach Aviation President Shinichi Inoue and Airbus Chief Operating Officer-Customers, John Leahy. This is Peach’s first direct order from Airbus. Peach Aviation currently operates 14 leased A320s, with three more to be delivered on lease. Peach Aviation’s A320 seats 180 passengers in a single-class layout and will be powered by CFM International engines. To date, the A320 Family has won more than 11,700 orders and over 6,500 aircraft delivered to more than 300 operators worldwide. Photo: Airbus. The pictured Airbus A320-214 F-WWIQ (msn 4887) became JA801P on delivery. 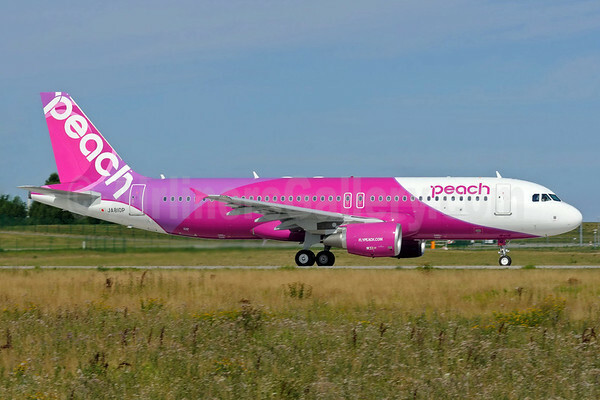 This entry was posted in Peach Aviation (Japan) and tagged 4887, A320, A320-200, A320-214, Airbus, Airbus A320, Airbus A320-200, F-WWIQ, JA801P, Peach Aviation on June 16, 2015 by Bruce Drum. 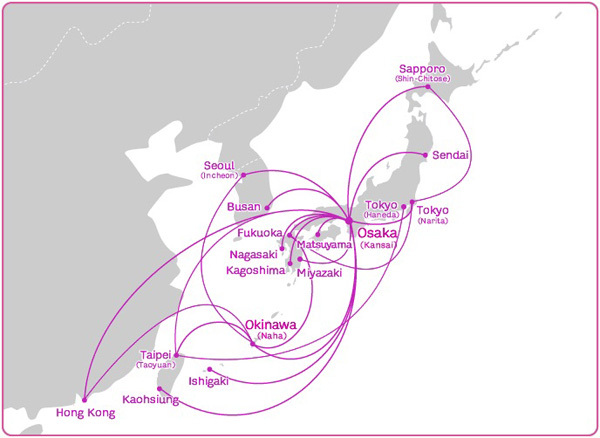 Peach Aviation (Osaka-Kansai) has designated Tokyo (Narita) as its third hub after Osaka (Kansai) and Okinawa (Naha) according to ZipanguFlyer. 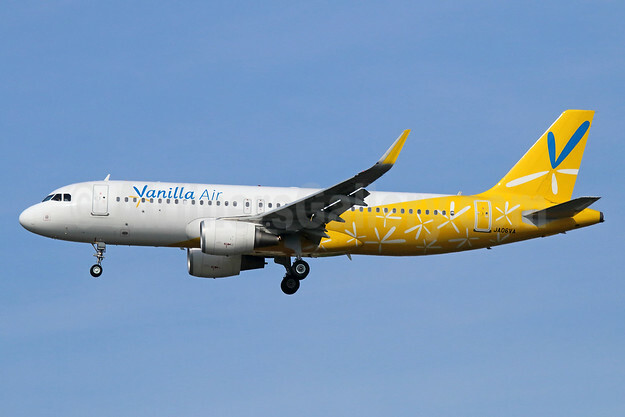 The carrier will launch two new routes from Narita to Fukuoka and Sapporo (New Chitose) on March 29. Copyright Photo: Gerd Beilfuss/AirlinersGallery.com. Airbus A320-214 JA810P (msn 5724) was delivered new on August 5, 2013. 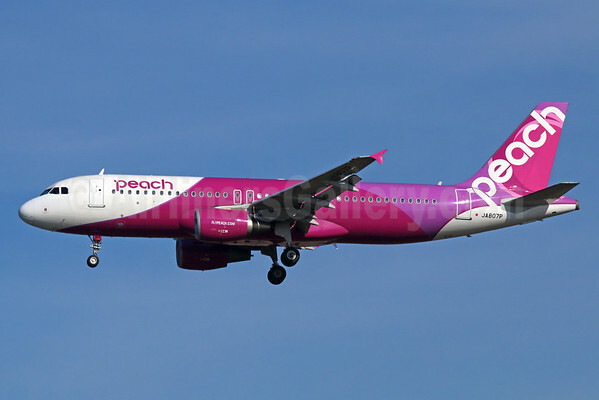 This entry was posted in Peach Aviation (Japan) and tagged 5724, A320, A320-200, A320-214, Airbus, Airbus A320, Airbus A320-200, JA810P, Narita, Osaka, Peach, Peach Aviation, Tokyo, tokyo narita on February 10, 2015 by Bruce Drum.